While the holidays are a time of cheer and goodwill, it is also the season when criminals look to play the Grinch by robbing the unprotected. The reason for the uptick in crime can be attributed to a number of factors, such as people being away from home more to shop or attend holiday events and a shorter amount of daylight. Will adding additional lighting, including Christmas decorations, help to deter a home from being robbed, or will it make a house a more attractive target? Sure, there are thieves looking to make off with a particular item like a new video game system, but most thieves are primarily concerned with the ease of the theft. The more steps a potential robbery will take, the less attractive it becomes to a thief. They simply want to get in and out as quickly as possible. According to a study by Claire Nee and Amy Meenaghan, they want it to take no more than about 20 minutes. Any measure that adds to the degree of difficulty provides another layer of security for a homeowner. A fence, a dog that barks at strangers, and easy to spot video cameras will all cause most burglars to think twice before attempting to break in. Regarding the question at hand, lights may deter burglars for one simple reason: Thieves would rather operate unseen. According to Defenders Home Automation, studies suggest that lighting can actually be used as a burglar deterrent. Consider an average neighborhood during the holidays. The houses filled with outdoor decorations are frequently being looked at by passers-by and neighbors. Homes with no lighting are seldom looked at by anyone. This makes the choice for a thief very simple. Is it a good idea to display that lit-up Christmas tree right next to a window? Interior Christmas lighting also serves a protective purpose in that they give a house a “lived-in” look. Thieves greatly prefer robbing an empty house than one in which they might encounter resistance. Watching out for scam charities that pop up around the holidays, being careful with online shopping, and keeping a home well protected will help to ensure that the holidays are filled with joyful memories. 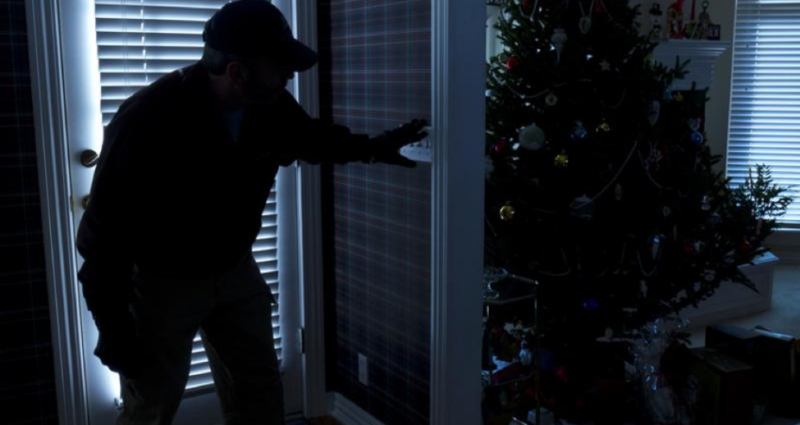 Using lighting to make a home unattractive to thieves is a simple way to have a safe holiday season.